Over the years, esteemed chiropractor Dr. Nathanson has built his practice on reputation and referrals. 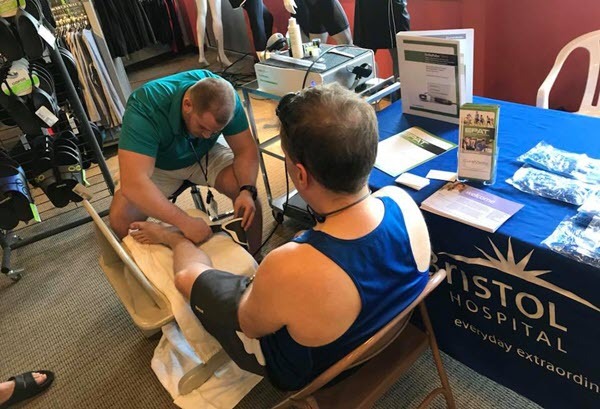 He has gained a strong following of dedicated professionals who work with active clients who don’t want to be on the sidelines; clients including personal trainers, CrossFit® trainers, yoga instructors and tennis professionals. However, Dr. Nathanson was finding that his once-reliable traditional manual therapy methods were no longer meeting his patients’ needs. When one of his patients came to him with frozen shoulder, he was only able to help her experience minimal relief. 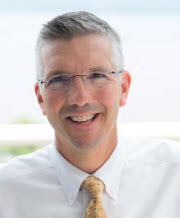 Having always been interested in learning about new techniques and approaches to help his patients, Dr. Nathanson was inspired to research other modalities. Dr. Conenello was seeing a noticeable shift in patient care: an increasing number of his patients were inquiring about alternatives to surgery so they could get back on their feet sooner and feel better faster. Traditional treatment options, many of which involved sidelining patients for six weeks in a boot, required a wait-and-see approach that felt dated. Dr. Conenello wanted to offer his patients an innovative approach that reflected their needs and was both evidence-based and clinically proven. 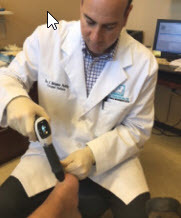 Podiatric Surgeon Dr. Joaquin Balaguer was interested in finding additional ways to grow his thriving practice and improve patient outcomes. 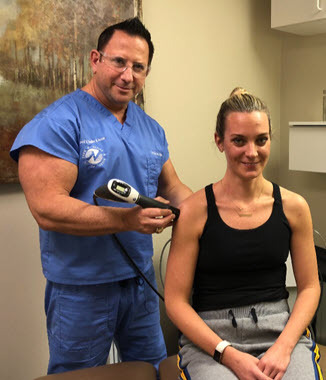 His focus was integrating new and innovative technologies to support changing demands: many of his patients had been asking about non-invasive treatment options as an alternative to surgery, and Dr. Balaguer was particularly interested in shock wave. However, he had tried another company’s shock wave device and it did not provide the results he knew his patients deserved. As a result, Dr. Balaguer was both wary of the technology and concerned that a new device could be a poor investment.